When I was a child I had an enduring fantasy that I was not in fact of this world but was an alien, sent to observe these strange ape-like beings and send reports back to my superiors on Antares. The details weren't always the same of course and the science fictional colour and background grew ever more complex as I reached my teens. However, when this notion first started I am sure it was a lot simpler. I don't recall its beginning, it felt like something that was always part of me. However, my earliest clear memory of "being an alien" is from 1973 when I arrived at my new school in Muswell Hill. This was the first time I had to play football and I loathed it. It wasn't just the game itself, it was the football teacher Mr Gibbins who was also my class teacher; a moron and a bully. He was also obsessed with football. I didn't like football so he instantly took against me. 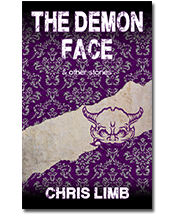 It was his exhortations to "Face me!" or "Face the goal!" that brought my alien identity to the surface. What if, I wondered to myself, I came from a planet where the verb "to face" meant something completely different? For example to stare at an object and make it disappear? To disintegrate it? Naturally I'd be confused by Gibbins's apparently self-destructive orders but wouldn't dare disobey and then and then as a result he'd vanish. Disintegrated. Along with those goalposts he loved so much. 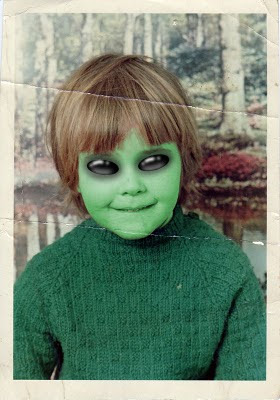 For a long time my alien identity was a story I told only to myself, part of my inner life, a secret that kept me going. One day my starship would come back and I'd be taken away from all this. Until then I would have to keep my head down and observe; resisting the temptation to deploy my devastating psionic powers on my tormentors. How I longed to make my history teacher Mr Clarke's nose explode using telekinesis. But it was against the rules of non-interference. Originally I think my feelings had been given shape by episodes of Star Trek and Doctor Who; now I started reading a lot more and had discovered science fiction. 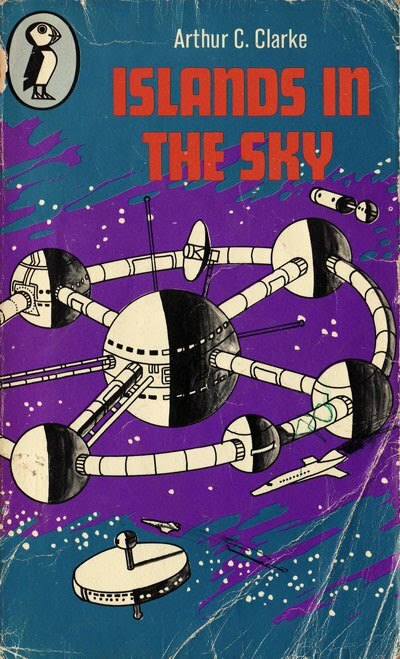 My introductions to the genre were Puffin Books editions of Islands in the Sky and Of Time and Stars by a far more intelligent Mr Clarke, one Arthur C Clarke. Of course these days Clarke has something of a reputation as a bit of a techie sceptic who wrote hard science fiction, but there was a lot of poetry and oddness in his early work (those two books were part of this), especially the latter which was a collection of short stories. 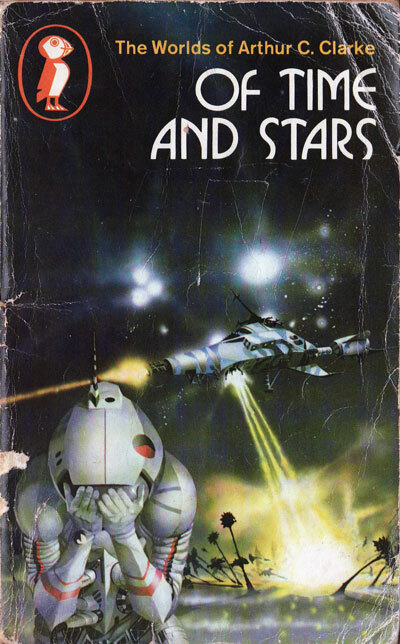 I also read a number of children's SF novels by Nicholas Fisk which were sinister and gripping. This new seam of ideas and concepts shaped my outsider fantasies which grew ever more complex. Eventually I had to express myself. I would talk to people at school, having long discussions about how I was an alien, how I'd arrived at Earth and integrated with a human family, where I originally came from. These were like more sophisticated children's games; we were to old to play let's pretend but I recall some other boys being quite hooked on the mockumentary conversations with an extraterrestrial that talking to me allowed them. However, it really upset me when they tried to break the fourth wall mid-conversation; "Yes, but really... in real life..."
That too was against the rules. In these conversations I was an alien. This was real life. "Oh, it was pathetic, I guess," Hobie said. "It started out ... I believed they were real, you know? Kirk, Spock, McCoy, all of them. And the ship ... I had it all figured out, they had me left behind as an observer." Hobie giggled. "Oh, I mean, I didn't really believe it, I knew it was just a show. But I did believe it, too. It was like there, in the background, underneath, no matter what was going on. They were coming for me. All I had to do was observe. And not to interfere. You know? Prime directive ... of course after I grew up, I realized they weren't, I mean I realized consciously. So I was going to go to them. Somehow, somewhere. Out there ... now I know. It really isn't so. None of it. Never. There's nothing ... now I know I'll die here." "Hello. I am an alien. I'm on a "Remand Vacation" on the Planet Earth from the Planet of Ghosts for unacceptable quasi-social behaviour..."
She then went on to describe how she'd been sent into the body of a unborn child in 1958... the speech continued to become not only the story of her life but a reflection on the past and future of the city in which she'd been born. But she'd felt it too, this otherworldiness, and had used the memory of this mental sensation to write an entertaining and imaginative speech. The fact that it's occurred in more than one person I'm aware of means it's more likely to be a psychological phenomenon than mere flight of fancy. But what does it actually mean? The concept of the extraterrestrial is the latest iteration of the Other - the non-human sentient beings that homo sapiens has always been convinced exist. Two hundred years ago people claimed to have been abducted by faeries rather than aliens; it would be interesting to know (but probably impossible to find out) whether some people back then also fantasized about being faeries or elves abandoned in the mundane. Perhaps it's part of the learning process. As a child everything is fresh, new and fascinating and yet all the adults around seem blasé and uninterested. Adults take the world for granted, so it's not surprising that they appear to belong. For those with childlike minds the outside world is like the surface of an alien planet. So much to observe, understand and catalogue. There's another facet of it as well, something alluded to in the James Tiptree jr extract above. The alien world is better than this one. There's a desire to return home to somewhere one is understood and where people don't hurt and kill each other. When some people grow up they find their niche, arrive "home" and the world no longer seems such a terrible place. Others remain aliens. This need not be bad thing. If enough of us have a vision of a better world maybe we can return to it by terraforming this one. Or rather by utopiaforming it.